Why is it so important to know WHO God is? The father of lies is active in this world. The enemy is prowling. He seeks to tell us lie after lie about who God is and who we are in Christ. If we are not diligently seeking the face of God through His Word, if we don’t know WHO He is, we will fall prey to these lies! We will begin to believe them. And what we believe is a big deal. What we believe impacts how we live our lives. 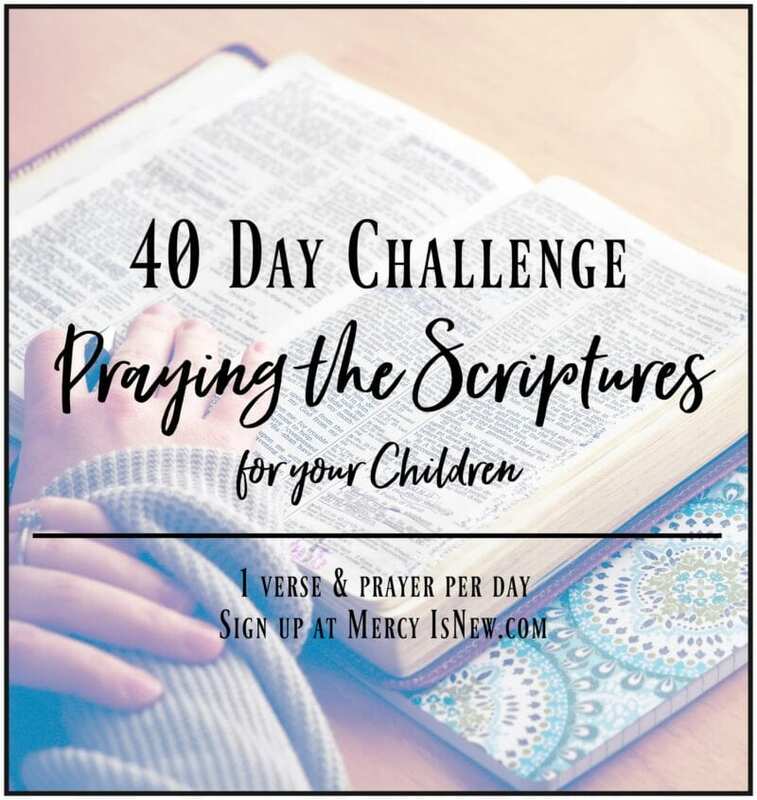 Let’s spend 30 days reading, studying, writing & praying through 30 verses that tell us WHO God is and what He is like. Grab a journal and start this plan at any time! 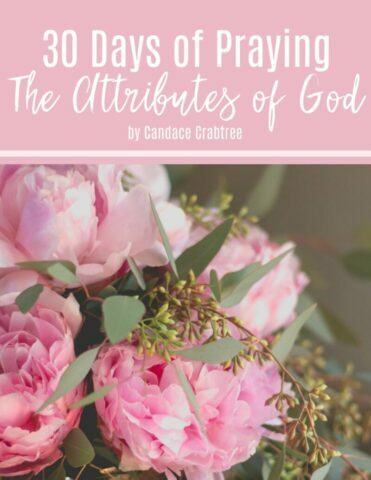 If you’d like a PDF file of each of these 30 verses with a short prayer for each of the 30 days, click here! 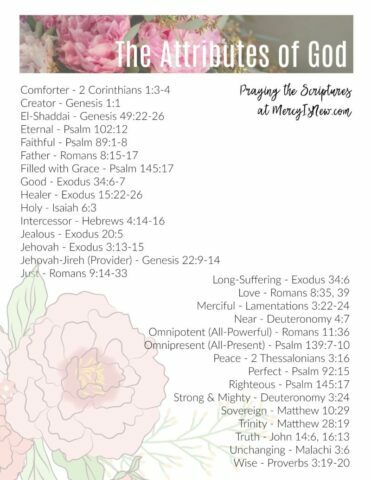 They are compiled for your convenience in this e-book! Why write the Word? 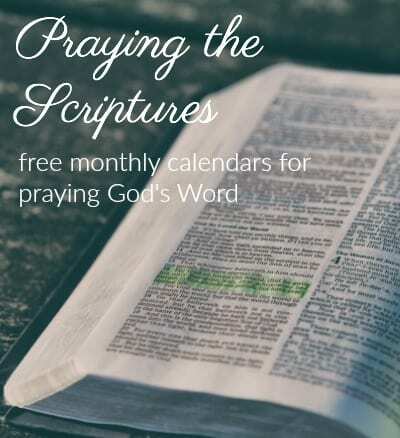 Why pray the Word? Both of these disciplines have helped the Word of God to sink deep within my heart in ways that just reading has not done. We write things down that are important. Things we want to remember. Why not write down the very most important words we’ve ever been given? 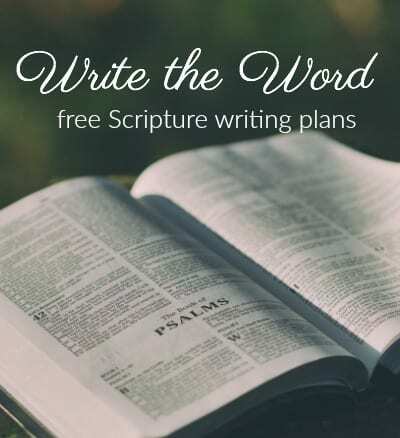 Read more about writing the Word here & find a whole page of FREE resources. Sometimes we don’t have words to pray. So praying His Word gives words to our heart’s cry. Read 10 Benefits of Praying the Scriptures here. Praying and writing the Word of God doesn’t have to be hard. Read the passage, speak it aloud to God, ask Him to change you through the power of His Word. 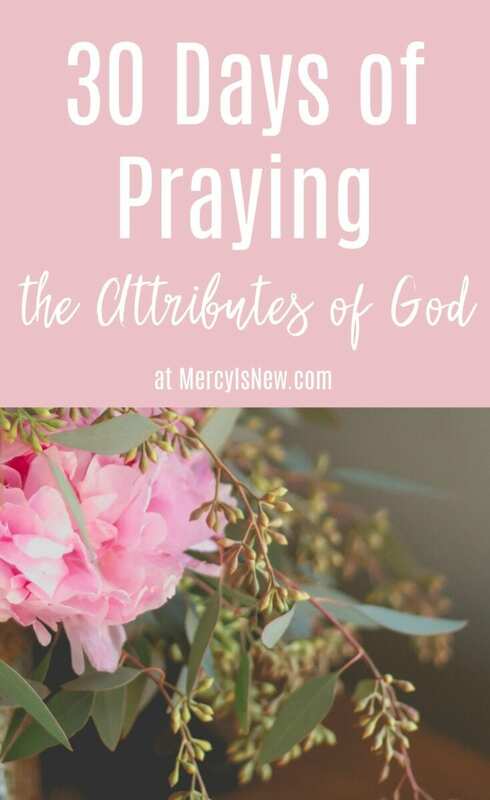 Subscribe to His Mercy is New by email and receive a FREE quick-guide to praying God’s Word!